In this Guide we will discuss How to Flash Stock/Official ROM on Samsung Galaxy S10 & S10 Plus, This method will work on any Samsung Galaxy Phone. Below in this guide, you will find the full instructions to flash the Samsung Stock ROM (Orginal Firmware) using ODIN flash tool with the Windows PC. If your phone is bricked, stuck in a boot loop or you just want to go back to stock ROM, if you are using the ROOTED phone, then this way will help you to Flash Stock/Official ROM on Samsung Galaxy S10 & S10 Plus. 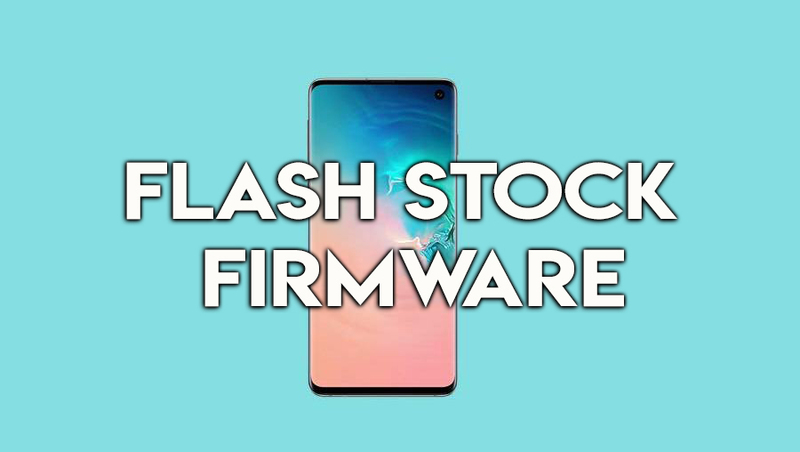 Now many users want to know Why Flash Stock Firmware on Galaxy S10e, S10, S10 Plus? The answer is simple, suppose you modified the system of your Phone like rooted your phone or installed some custom Recovery on your phone, os your phone stuck in the boot loop or soft bricked. Then at this time flashing the Stock/Official ROM on Samsung Galaxy phone will fix all these issues. The new firmware will overwrite the old one, and reset everything. So here in this guide, we will show you the whole process to Flash Stock Firmware on Galaxy S10 & S10 Plus with ODIN. Read all the steps very carefully and do take the full backup of your phone. This guide will work on any Samsung Galaxy phone. All you need a Windows PC, ODIN tool and some patience to flash the firmware. Please follow the tutorial below very carefully and do not miss any of the steps. We are not held responsible if you damage your phone. Please proceed at your own risk. Go to Settings > About Phone > Software Information. Quickly tap 7 times on Build Number to enable Developer Options. Go to Settings > Developer Options and tap on USB Debugging. Make sure you have at least 60% of battery life left. 1. Turn off your phone and go into Download Mode. To do this press and hold the volume down, power and Bixby buttons at the same time. Now your phone will boot in the Download mode. 2. 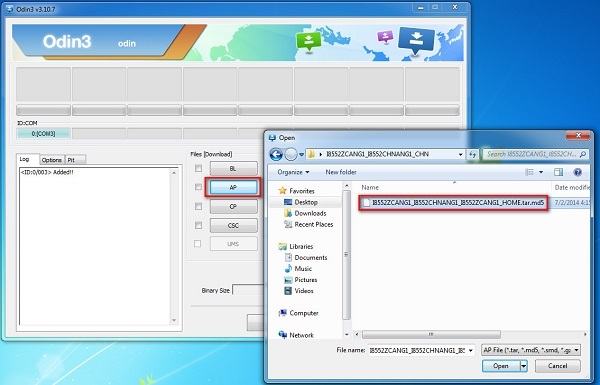 Now unzip the ODIN zip folde ron yiur windows PC and Run the ODIN.exe file on your PC. 4. Now form the ODIN screen, click the AP/PDA button and select the extracted firmware button. 5. Go to Options and make sure to disable Re-Partition and enable Auto Reboot and F. Reset Time. 6. After this, click “Start” to begin the flashing process. 7. When the flashing process is done and if everything goes well, you should see a big green box saying “RESET” or “PASSED”. This is how you can install the stock firmware (ROM) on your Galaxy S10e, S10 and S10 Plus. If you have any question about the guide or facing some problem during the process then leave the comments below, and we will help you to fix it up.